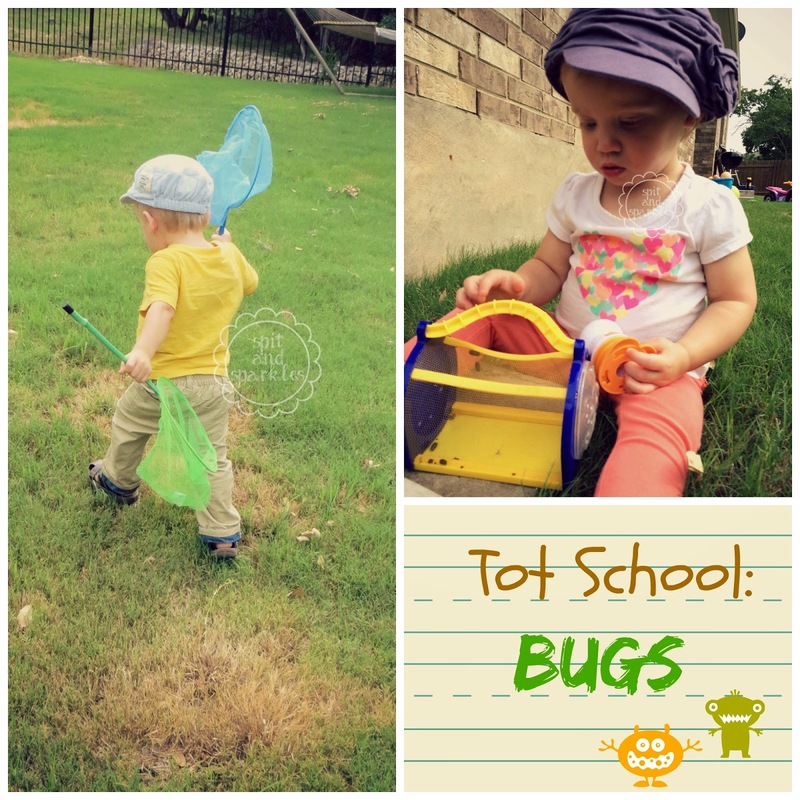 Even though we haven’t posted any formal Tot School activities in a little while, the learning never stops. Lately, we have been focusing on building Corbin and Lynley’s vocabularies and ability to identify and name everyday objects. 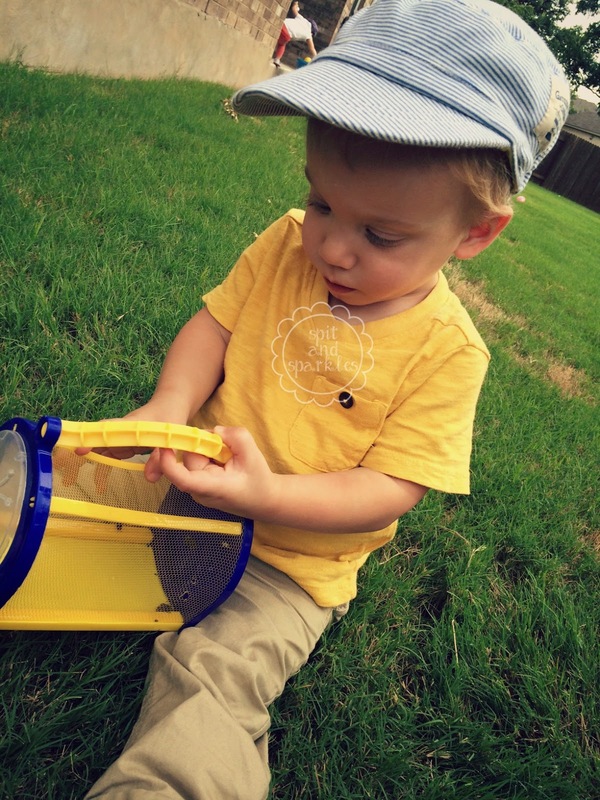 Since it’s been a mild summer so far, we’ve spent a lot of time outside. A typical morning for us includes a walk around the neighborhood in the double stroller and then play time outside in our back yard. During our walks, we stop to look at the flowers, ponds, bugs and trees, and we also wave at cars, trucks and houses. It has really helped them begin to apply objects they’ve seen in books to real life. Corbin’s new favorite words are truck and tractor. Lynley’s new favorite word is tree. Beyond the vocabulary building, we’ve also done a little science activity. 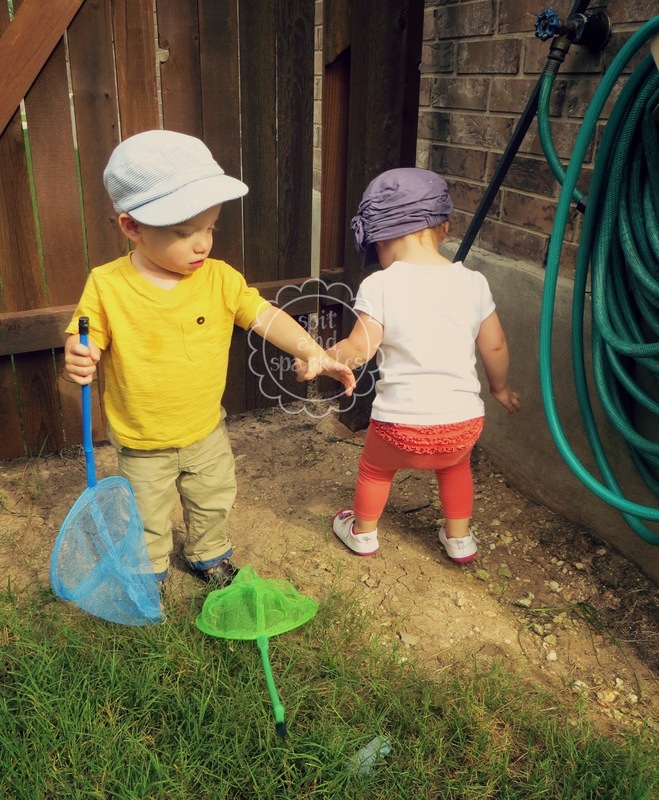 I found a couple of bug-catching nets and a bug container on the dollar aisle at Target, and I thought the babies would love to try find bugs to watch move around inside. I was wrong! But hey, they did like running around waving the nets. 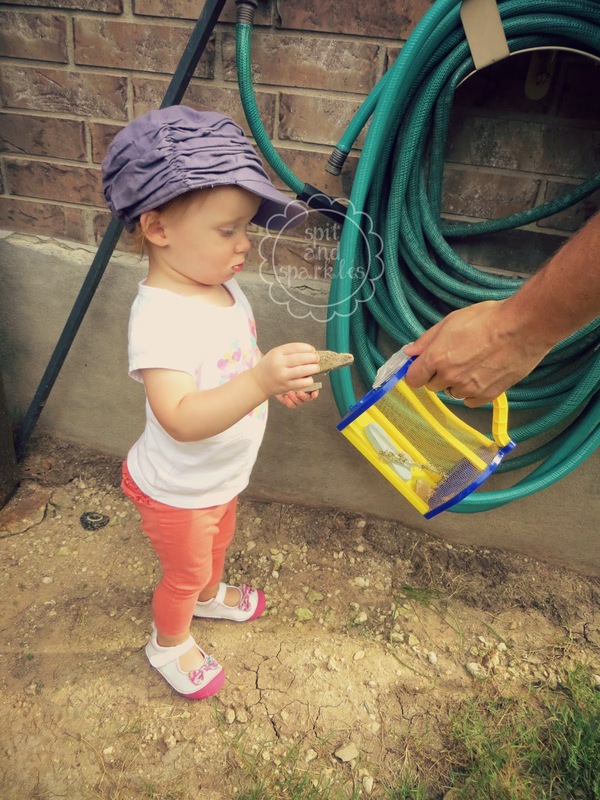 This activity resulted in Derrick finding the rolie polies and centipedes to put into the container; Corbin semi-watching and running away to find his baseball bat in the yard; and Lynley stuffing anything she could find laying in the yard into the container. (i.e. the foam number one pictured inside.) I laughed and followed behind them trying to encourage them to look inside the container and count the bugs. The entire thing lasted maybe five minutes, but that is the norm with most planned activities like this. We’ll try again! As for future Tot School lessons, Corbin and Lynley will be learning from a christian-based curriculum, ABC Jesus Loves Me, provided by our new nanny three days per week while I study for my own school- grad school! They’ve already made some lovely art and learned about the creation story. My own tot school lessons with the babies will be fewer in frequency, since I’ll mostly be reinforcing what they learn without me, but I will plan some lessons of my own for the weekends. I’ll post more about this transition for our family coming up soon!